Start by brushing your little mate in the direction of your pet's fur first to remove debris. Separate the fur by brushing from the skin out, then brush slightly against the grain of the coat to remove dead hair. To clean brush, simply press button on back and lift away fur! "My coat had gone to the dogs! 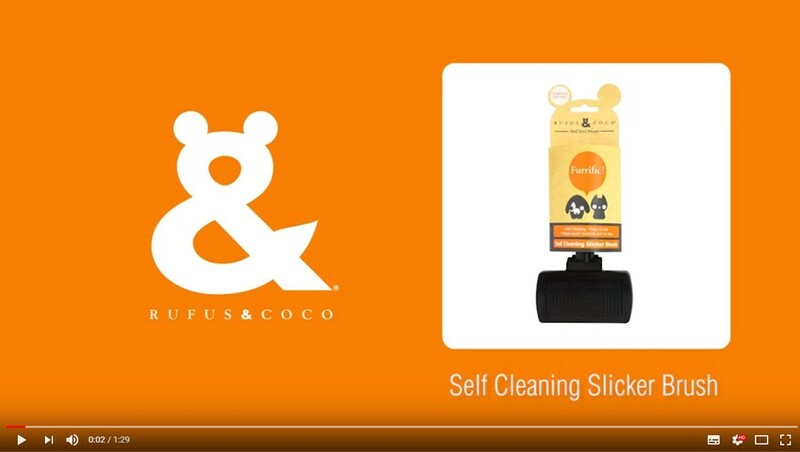 But not anymore with my Rufus & Coco Self Cleaning Slicker Brush. It's so simple to use - it cleans itself, keeping my coat bacteria and extra fur free!"